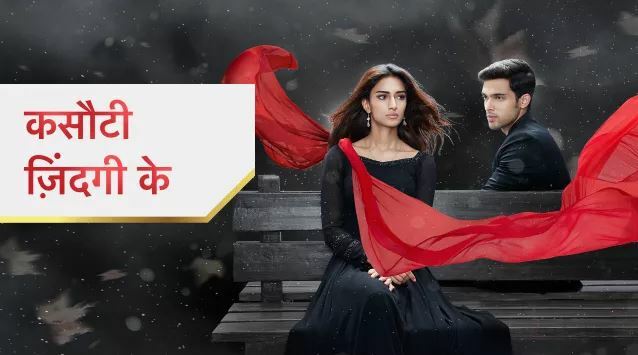 Star Plus’ Kasautii Zindagii Kay is soon bringing a big twist of Anurag and Prerna’s marriage. Anurag and Prerna are destined to fall in love and unite, but their love story won’t be getting fulfilled. They will be facing many obstacles in their journey. The lovers have already started facing the villains in life like Navin, Mohini, Nivedita, Komolika and Mishka. Many people are against their love story, but thankfully there are some positive ones like Anupam, Shivani, Sid and Moloy who want to see them together as a united couple. Anurag has realized his love. He decides to confess love before its too late. Do you like the wedding twist in Kasautii Zindagii Kay? Komolika also plays a role in instigating Navin against Anurag. She wants Prerna out of Anurag’s life. She thinks just Navin can take away Prerna forever. Knowing his evil potential, she contacts him to give the news of Anurag and Prerna’s love story. It really gets late until he reaches Prerna. She gets kidnapped by her obsessed lover Navin. Prerna is certain that Anurag will save her life. There is going to be a big clash of Anurag and Navin. Navin will be failing once again. Anurag will be taking the big step of marrying Prerna by breaking his promise to Mohini. Do you like the wedding twist in Kasautii Zindagii Kay? Let us know your opinion.